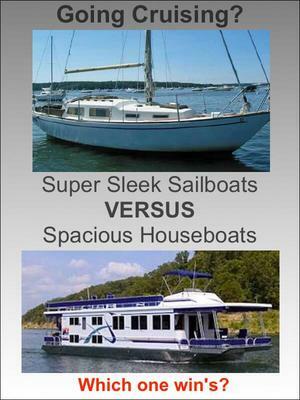 Sailboats versus houseboats, which one is better for cruising? 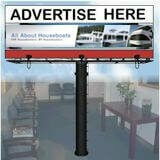 I often wonder if sailboats versus houseboats, which one is better for cruising? I know that I'll likely get flamed by the sailing community out there about the virtues and all the advantages of going cruising with a sailboat, but I'm simply trying to open the way for a good discussion together. I am sure that there are plenty of good reason's to buy a sailboat, but once you've tasted a "houseboat", it's hard to go back. I am sure that may opinion is a little biased, but lets be honest, a houseboats is a great combination of size, space, storage, functionality, and usability, along with cruisability (if "cruisability" is a word… lol). Possibly some of our reader's have spent some time on a sailboat prior to owning a houseboat and care to let its know what the advantages and disadvantages are? I know that in regards to size and storage space, a houseboat will win, but what practical areas can a sailboat excel in when competing head-to-head with a houseboat? 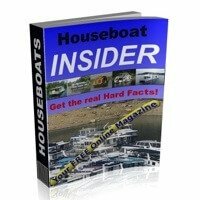 If there's any boaters out there who are contemplating purchasing a houseboat, be sure to read our "How to Buy a Houseboat" buying guide, its full of information and tips. Hopefully some of our readers and visitors will share and post comments about their sailboat VS houseboat related experiences and tips. Feel free to use the "click here to post comments" link found near the bottom of this page. 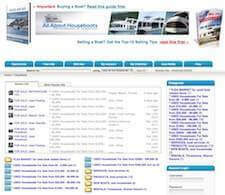 Comments for Sailboats versus houseboats, which one is better for cruising? As I mentioned earlier, it all depends on where - and how far - you want to go. A sailboat, even "motored" around will be the absolute most economical way to go. And you don't have to know how to actually "sail". Take the mast off if you want, many do. True, you can't beat the space and comfort of a Houseboat - but by far, your range and places you can go are very limited. And your 'fuel' will be the biggest item on your list of "boat related" expenses. Wow! First question is "Where do you want to go?" and "Who is paying for your fuel?" 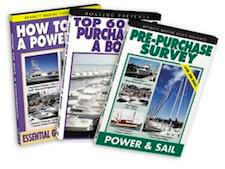 I have been a full-time cruising live aboard for 25 years and what most novice boaters don't realize the that big boats, big engines, and especially twin engines can actually cost you more to go cruising "long distance" in than they cost to purchase in the first place. Sure, we would all love the complete comforts that a houseboat offers - but fact is, when it comes to cruising long distance, fuel alone, plus marina slip fees can be real budget busters for most anyone. If you plan to cruise America's Great Loop - which is the longest, safest continuous waterway in the world, at 1,500 miles longer than the Nile - you need a vessel that is extremely fuel efficient. Sailboats even "motored around" are the very most economical - burning less than 1 gallon an hour of fuel. That will take you around this 6,000 plus mile, year long voyage on about $3,000 (1,000 gallons or less) in fuel. A mid-size 36' to 40' Trawler will do the same on about $14,000 in fuel. A big twin engine mono-hull houseboat will take you around on about $36,000 in fuel - and that's only if you maintain about the same speed of the sailboat. My boating philosophy is "More Fun than Fuel". I hate pouring my fun money down my fuel tank(s). I owned a 23 foot Granion, a very sturdy sailboat. We could easily sleep 4. We did have a lot of fun on it. Sometimes just eating and sleeping on it while still docked at the marina in Charleston. I am now looking for a houseboat. While sailing is fun and fast, I now want the comforts and room of a houseboat. While my boat had sailed to Bermuda several times, before I owned it, I pretty much kept it closer to shore. A houseboat would do just fine where we sailed, and I am sure it could be much more spacious and comfortable. The very nature of a sailboat, its shape, makes it a bit uncomfortable and even cramped, whereas the openness of a houseboat seems much more livable. At this time, I am considering a trailerable houseboat, to give me even more freedom. Either way, sailboat or houseboat...just being on the water is great! I took a 3 day cruise aboard a 38 foot sloop on Lake Superior. We had to help crew the boat. The living conditions were very cramped. It is more work but very fuel efficient. Give me a houseboat. I have a great old Gibson 42 houseboat and a small sailboat. FYI, a 42' sailboat offers all of the live aboard amenities of a 42' houseboat. If I were to plan a cruise offshore or down the inland waterway, a large sailboat would win. Why? The cost for fuel, and they are made for offshore cruising. 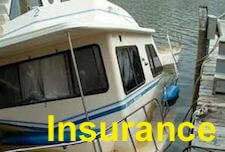 I would not take any houseboat offshore. Unless you enjoy spending money on fuel, a sailboat will get you there a lot cheaper, but a lot slower. If you are a sailor, and addicted to the joys of sailing, a sailboat will be your best option. However, if money for fuel is no problem, and you have limited time for your cruise, a houseboat may be your best option for inland cruising. The issue is more Context than Content. The major consideration when choosing is the intended environment. However there are considerations which may contribute to the choice of environments. A sailboat is more complex to operate but mechanically simpler and hence has better reliability. Storage in a Sailboat is good because of the many spaces too awkward for other use. A sailboat is superior in sea-keeping and weather resistance. Going from point A to point B is an adventure to be shared. Are you going for the journey or the destination. Houseboats are campers on the water, If you want to go somewhere for the weekend a houseboat is best as long as you can afford the fuel. Bridges and shallows on inland water-ways can be a challenge for a sailboat. If locks are involved the sailboat may not be allowed to transit. 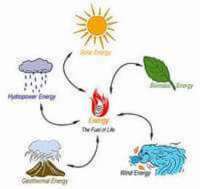 The choice should be based on individual preference, then choose the best environment. Did I mention, sailboats are good exercise? Couch potatoes not allowed.